Hello, my name is Henriette O’ Bryan. I am a Psychotherapeutic Counsellor working from GP surgeries and community centers in the Bridgwater, Somerset area. 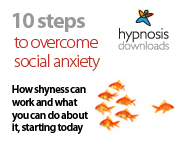 I am passionate to support anxious and stressed adults from all walks of life and backgrounds. I feel everyone is an individual and will not try to stereotype or label you. Even if your story might sound like someone else's story, I will not make assumptions or jump to conclusions because your circumstances will be different. I will listen to you without judgment, prejudice and discrimination. By providing support, unconditional respect, warmth and openness my aim is to give us a good foundation to build trust between us so you could feel safe to talk to me. This page explains about my personal experiences of stress and anxiety and how counselling improved my situation. You can also read here about my qualifications, my professional memberships, some of my professional experience, how I can help and testimonials from previous clients. I grew up with the mottos “you've made your bed, now lie in it" and if I had a problem I was taught “to make a plan to solve it”. Sure, it made me very independent, but on the negative side I was always stressed out and anxious thinking that I would be weak if I asked for help and that others would see me as needy. Instilled cultural beliefs from childhood kept me struggling on my own until one day about 10 years ago when several things went wrong in quick succession; one after the other …. being far away from family support due to overseas relocation. the injury also caused the loss of social activities and playing sport using my dominant hand. The flexible tree withstands strong winds. Don't let your rigid beliefs break you. Ask for support. One day out of the blue I just reached the point of “the last straw that broke the camel’s back”. I barely spoke and if I did it was monosyllables and for the rest of the time stared at the walls and refused to leave the house due to anxieties about noises and crowds of people. I developed social anxiety and did not want to leave home. It took several weeks before I took up my GP’s offer for counselling referral because I thought I had to sort this out myself and fix my problems without support. However, this was far from true. The mere act of talking to a professional counsellor who respected and accepted me and my understanding of my problems made huge changes to my emotional state at the time. Guess what, even though I accepted the therapists’ support nobody ever thought I was needy. And instead of feeling weak I became empowered to tackle my own problems and re-start my life. But more than that, counselling gave me self-awareness which still grows every day so I have become more tuned in to my own beliefs and how those affect my thought processes which in turn affect my body, emotions and behaviours. Talking to a professional counsellor “jump-started” me back into life. This was 10 years ago. My journey and helpful experience of counselling inspired me to train as a counsellor and help other people to overcome the obstacles in their lives. A problem shared is a problem halved. If you have read something that resonates with you and would like to work with me please contact me for a FREE assessment. I studied Counselling to level 5 Diploma in Psychotherapeutic Counselling over 4 years and now provide Integrative Psychotherapeutic Counselling from a combination of the following counselling and psychotherapy schools: Person-Centred, Gestalt, Transactional Analysis, Psychosynthesis, Cognitive Behavioural Therapy, and Psychodynamic as well as Guided Imagery, Meditation and Relaxation Therapy. I am also currently studying part-time for a Psychology Degree. I have a holistic outlook of the mind-body-spirit and you will note the following qualifications I have represent those three areas. The emotional suffering from anxiety and stress suffered will also affect your physical body functions and your spiritual well-being. In addition to studying Psychology currently, I also attend Continuing Professional Development (CPD) and In-House Training workshops to stay up to date with skills and theoretical approaches. I have obtained the following Continuing Professional Development (CPD) certificates and qualifications related to mental, physical and spiritual health. Awareness in Bereavement Care - The Cruse Bereavement Foundation Course for Working with Bereaved Adults. a Member of the National Counselling Society (MNCS) listed on the voluntary Professional Standards Authority register in accordance with The Health and Social Care Act (2012) and the Department of Health in the UK. As a member I am bound by the National Counselling Society's (NCS) ethical guidelines to support safe and good practice. a Data Controller (Registration Number: ZA281623) with the Information Commissioner’s Office https://ico.org.uk/ and, as such, am governed by the Data Protection Act 1998. All clients' personal information (paper based and electronic) are stored in compliance with the requirements of this act. Confidentiality is extremely important for the trusting relationship, but please note that under certain circumstances I may have a legal and/or ethical obligation to disclose certain details. Confidentiality will be discussed in more detail at our first session. My supervised practice experience so far has included supporting male and female adults between the ages of 18 – 75+ experiencing problems related to abortion, anger, anxiety, bereavement, confidence, eating disorders (including the carer of the sufferer), fear, general low moods, general stress, lack of motivation, loss and grief, personal stress, relationship problems, self-esteem, sleeping problems, terminal illnesses mainly cancer, work-related stress due to bullying. it also affects our day of tomorrow and future goals. What relationships have you formed that are causing you anxiety and holding you back? I support adults, over 18s, to manage their anxiety and stress by, not only exploring where these might stem from, but also how to learn coping strategies and relaxation techniques to improve their confidence and mental well-being. It can be a nerve-wracking experience to go and see a stranger to talk about intimate and private issues. If you feel nervous or anxious please note that it is a common feeling experienced by most counselling clients. Long term emotional suffering from anxiety and stress also affect your physical body functions and your spiritual well-being. I look forward to supporting you to learn coping and relaxation techniques to improve your wellbeing. Counselling could be the missing piece in your puzzle. Counselling is - at present - an unregulated profession in the UK and it is essential that you check out counsellors’ credentials. I am an Accredited Member of the National Counselling Society (MNCS). I am also on the Voluntary Accredited Register as accredited by the Professional Standards Authority in accordance with The Health and Social Care Act 2012 and Department of Health. Click the following link to read more about the credentials needed for the voluntary accredited register. The accredited register improves counselling and psychotherapy standards. It independently approves counsellors who have completed recognised training courses and have adequate insurance cover. All my work is carried out in compliance with the National Counselling Society (NCS).